Samsung's Galaxy Note 9 has been launched, however, the company itself obviously giving its best to surpass its own mark. With changing needs and high-end requirements from smartphones or widescreen tablets, the Samsung Galaxy Note series stands out. Making use of various useful additions, the Note series has captured many hearts and has made the lives of many easy. The name of the series comes from the use of the S Pen, a stylus with various features opted to suit the Note smartphones exclusively. S Pen, the most attractive feature of the Galaxy Note series, was first introduced with the original Note back in 2011. Although the first Note did not make use of many features and did not house many S Pen oriented gestures and apps, Samsung has improved the S Pen drastically with each iteration. 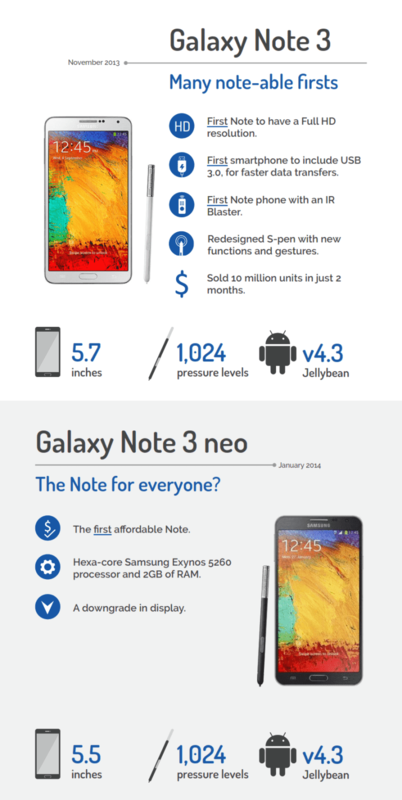 From introducing the better use of the S Pen in the immediate successor, Note II, the Note series now has various gestures, and features enabled specifically for the use of the stylus. From incorporating note taking, the S Pen now has Air View and the option of translating words with a mere gesture. Going so far as to offer interchangeable tips, Samsung’s S Pen remains to be one of the most attractive features in the Samsung phones after the curved display, which can be found in some of the newer models in the Note series. The latest Note not only comes with tips for the S Pen but is also waterproof. The stylus is godsent for all those who wish to keep notes on the go. To make note-taking and the use of S Pens smoother as well as more productive, Note series now comes with an always-on display. The display allows the user to instantly save notes, drop images and much more. Awaiting the unveiling of next-generation Note, the excitement about what more will the S Pen feature is worth waiting for. But the Note series are more than just about note taking, they are at the cutting edge when it comes to display and performance. 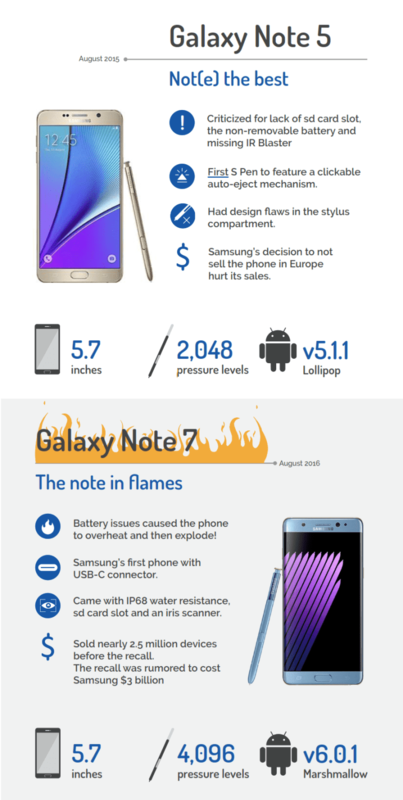 To know more about what each version of the Note series brought to the table, have a look at the super informative infographic by Hometop that illustrates the journey of the Note series of Samsung Galaxy phones from the original Note to the Note 9. 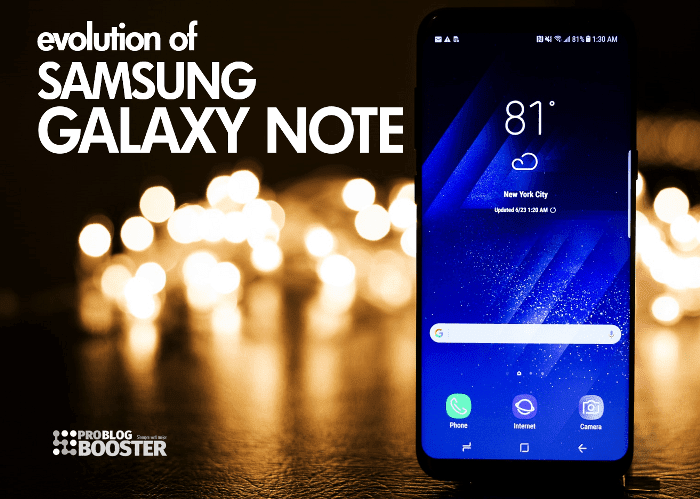 If you are a regular reader of ProBlogBooster newsletter, you might know that in the previous article I was talking about; Top 25 Reasons Why Android Is Better Than iPhone in The Market and today, want to share how Samsung is evolving their Galaxy Note series to the next level. Owing to its roots, the design of the Note’s S Pen remained the same for the first few models in the series with a few changes here and there. 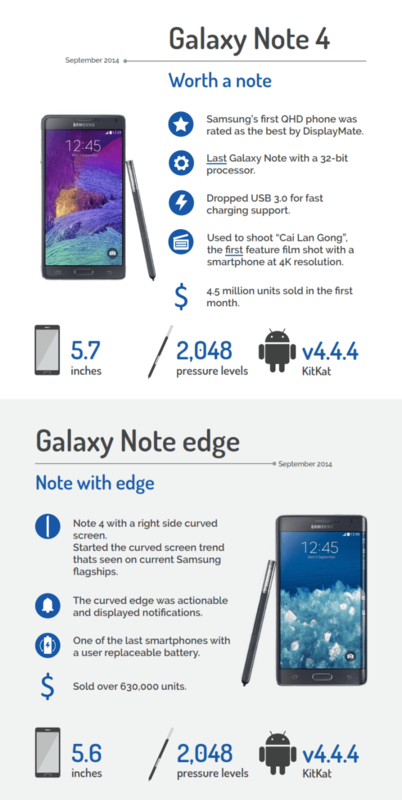 Prominent design changes could be seen after the release of Note 5. Changing the look and adding more features to the S Pen apart from the original Note’s S Pen functionality. The previous Note phone has improved the always-on display and enabled 100-page capacity. What’s fascinating is that the S Pen not only allows you to take down notes easily, offers precision, but also allows you to leave live messages. With the various new features and improved use, Note 9 is embedded with 4000+ pressure points and Bluetooth connectivity as well for improved features.